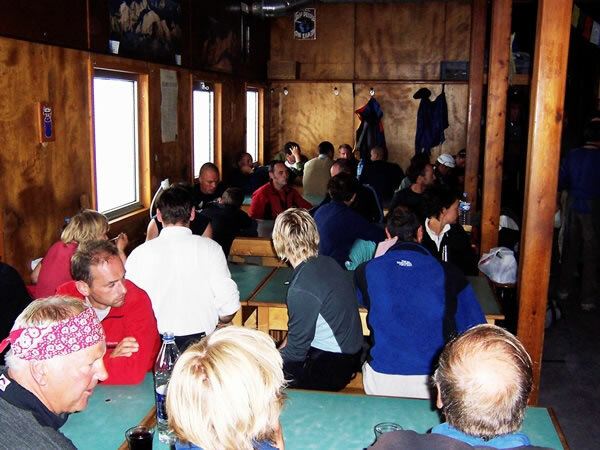 As was the case in the other European alpine huts we’d been to, meals were also served in the Goûter hut. This is a picture of people sitting, resting, and chatting before dinner. Incidentally, we saw the man with the pink bandanna (in the lower left-hand corner) earlier in this web-album: he was one of the climbers waiting for the cog-railway train at the Bellevue station.